Even better if you can give it a try starting today in a very affordable way. I am confident we’ll have this SDWAN option soon into our Nuage Networks eXperience. Until then, you can use a single 32G memory server. How? well, simulating networks and instances thru the power of the virtualization. Following notes brings details how to simulate a SDWAN solution into only one bare metal server. This server plays as the edge router between DC and branches. Networks are simulated thru linux bridges and instances with libvirt domains. You’ll need QCOW2 images for all Nuage componentes. ping me for those anytime! Create at least a couple of other bridges (i.e. brctl addbr int-bridge and use “ifconfig up” to initiate them). Check out my post Multiple dummies interfaces and bridges to simulate your #SDWAN for further reference. You need at least two VSCs. Every VSC takes care of every network – one for WAN and other for Internet in our case. 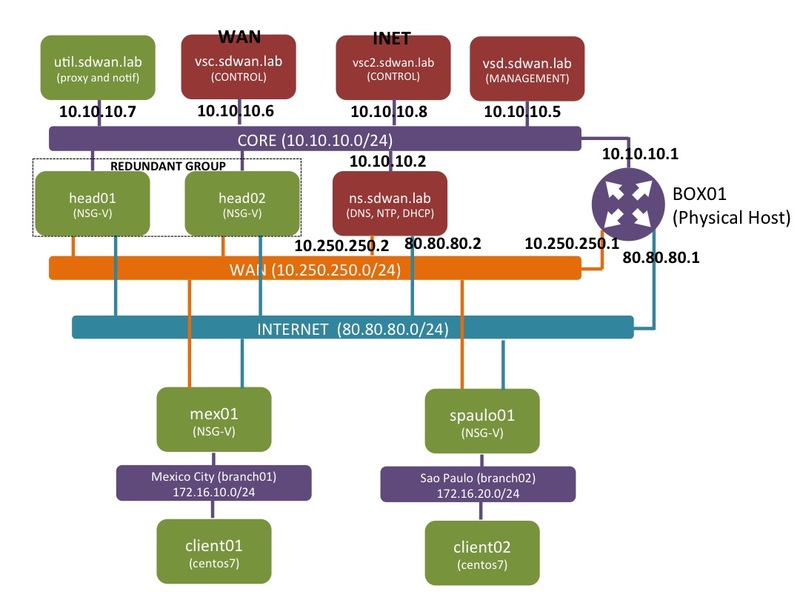 Every branch gateway is identified thru its unique uplink IP at every VSC. You can have a gateway using two uplinks IP over just one VSC. This case I used just one IP for control access. The peering is done thru the control interface. 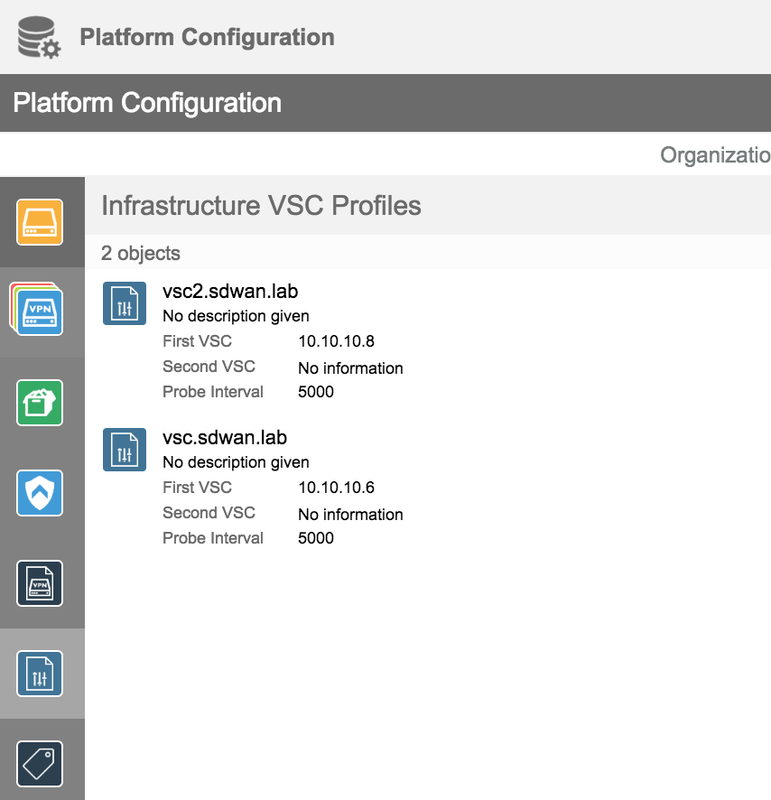 Check out the vsc files to see the commands regarding that configuration. And don’t forget to create your VSC with two interfaces (Special Thanks to Mostafa Mansour for that heads up). When you had finished installing VSD and both VSCs, then you can proceed with the the util server. The util server in charge to send the notifications. Sends emails and SMS messages as part of the TWO factor authentication for NSGs’ bootstrapping process. Also, it brings certificates in behalf of VSD to every NSG (VSD is kept behind and protected from any external thread). Define the domain thru the following xml file. Here you have the commands in case you forget them. Disable NetworkManager. We’ll use network.service to manage the interfaces. Don’t forget to add your server settings also to /etc/hosts and set your FQDN. Edit your /etc/ntp.conf file and replace the time server with your local ntp one. Restart services. use “ntpstat” to see if it’s synchronized correctly. Change “Ejabberd Encryption mode” from claired text to ‘allow’. More details annexed. “jboss” process will take a while. *A:vsc01# configure vswitch-controller open-flow tls-profile "ex-tls-profile"
*A:vsc01# configure vswitch-controller xmpp tls-profile "ex-tls-profile"
My NSG’s XML file content is annexed. You can use it under your discretion. port2 in connected to ‘inet’ bridge and port 3 “MUST” me connected to ‘branch01’. 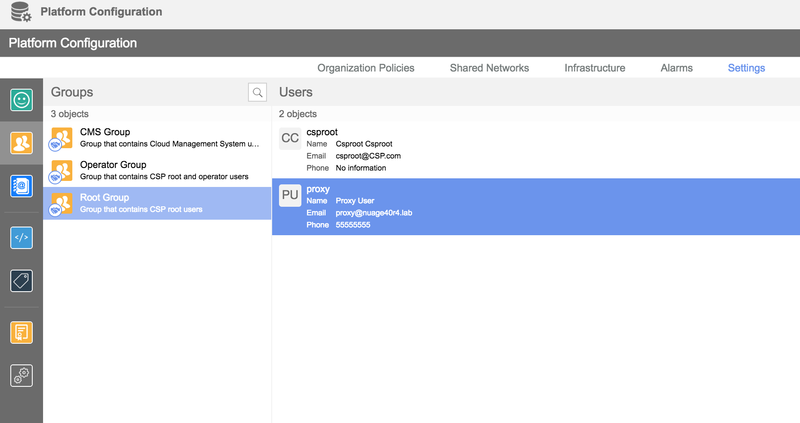 Look up the wan interface into the DHCP server lease. Do the same for your “head” NSGs connecting it them to ‘wan’, ‘inet’ and ‘core’ respectively. I haven’t used “two factor authentication”. That way I will only get an email over the bootstapping process. And create the templates. Define your ‘network’ and ‘access’. All my ‘network’ connections have been defined as uplinks. All ones need at least a “VSC profile” assigned. ‘Access’ ports must be define starting from port3. Define type of uplink. I will use ‘primary’ on both, wan and inet ports, to have a balanced uplink. Now, create your branch user in the organization to enable your gateways. The user must to have a valid email address. Then, create a NSG and assign a user. 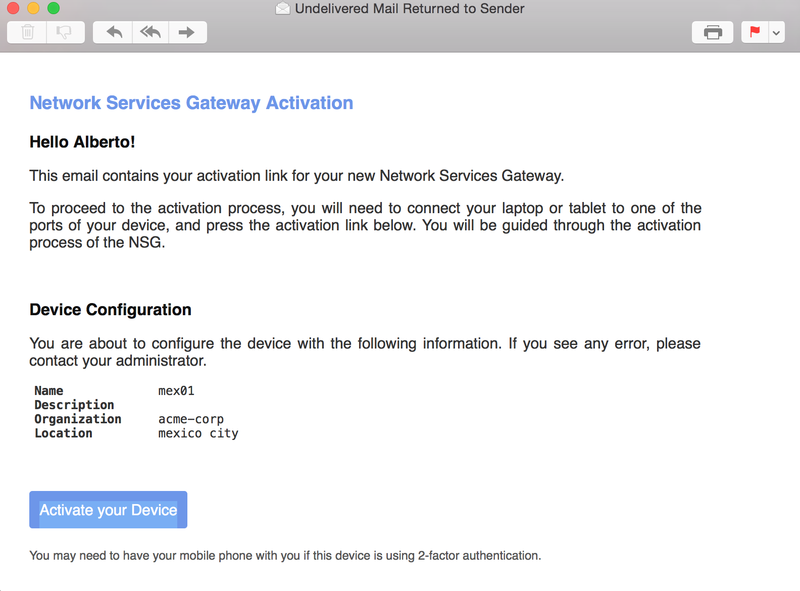 Util server will send a notification to that user to activate the branch NSG. Note: Forwarding request to 'systemctl enable rsyslog.service'. * This command configures ejabberd to allow encryption mode. * It requires restart vsd. Please confirm to continue. * Please wait for the prompt when vsd is fully restarted. We are using postfix in our util server. Then just execute the following to get the mail queue and get the email and open it from your laptop. -- 58 Kbytes in 2 Requests. Just copy the file notif01.eml to your laptop and open it with any email app client. Did my best to tweet you at @pinrojas (Rarely use twitter since the signal-to-noise ratio is so poor). Thanks. I am very interested in deploying this in my lab, just took a course on this and been itching to get this going in my personal lab….. could you please share with me images and all the needed directions as to how to get this started. Have fun!! I will also try to reach out again in a few weeks.